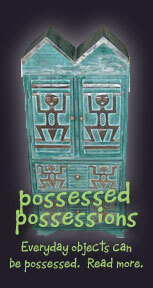 Welcome to our collection of Paranormal Guides, Articles, and Ghostly Stories. Is your fine china part of a secret paranormal ballet? There might be more to it that you thought. Techniques to foil the Smartphone Ghost Apps. You don't need a FLIR to spot a spirit. Ghostly activity or just a bug? See samples and learn to distinguish the real from the fake. Learn to record and listen to voices and sounds from those who have passed. The basics on Electromagnetic Field (EMF) Detectors. Feel like something might be around, but not sure how to tell? Simple methods for keeping the nasties at bay. How to protect yourself and your fellow investigator during an investigation. A basic form of protection from negative and evil energy. A heavy duty method for removing spirits. How to select a reputable intuitive. Locations that we feel are haunted, plus alot of fun to investigate. What happens when an item you bought is more than you thought? 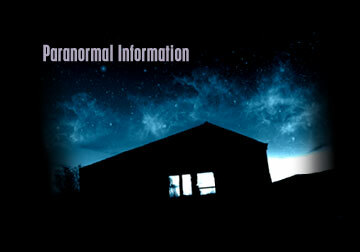 Read about the 3 basic types of hauntings. Use the correct word for that thing floating in front of you. Sometimes, they don't want to leave. Copyright © 2007-2018 Pensacola Paranormal Society. All rights reserved.